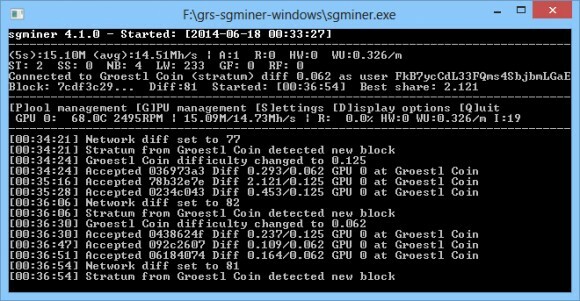 If you are mining GroestlCoin (GRS) with AMD GPUs, you might want to check out this new fork of sgminer called grs-sgminer by srcxxx that comes with optimized kernel for higher performance for mining GRS and DiamondCoin (source). 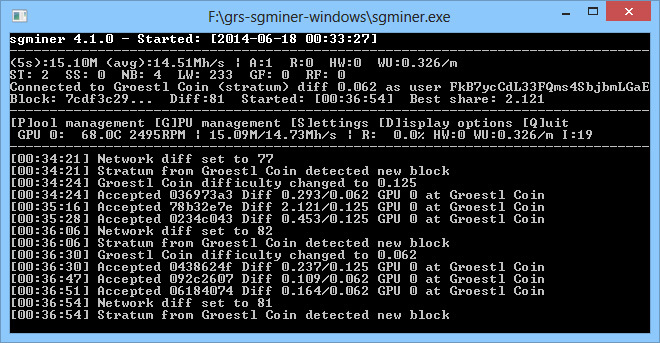 Do note that the miner may not work on older AMD GPUs and the performance may vary based on the video driver version you are using, people are reporting various results with different drivers. The windows binary we have compiled and provide below did give us a performance of about 15 MHS on a Radeon R9 280x GPU running the latest beta drivers 14.6 from AMD, but your results may vary. You are welcome to try it out and report your performance and experience with different GPUs and driver version in the comments below.